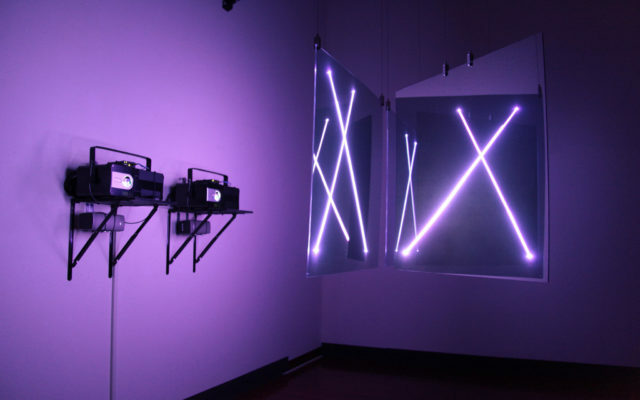 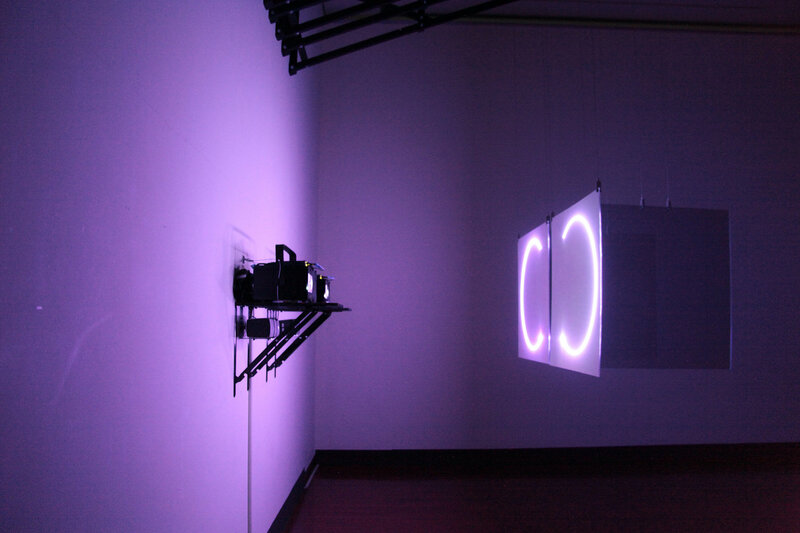 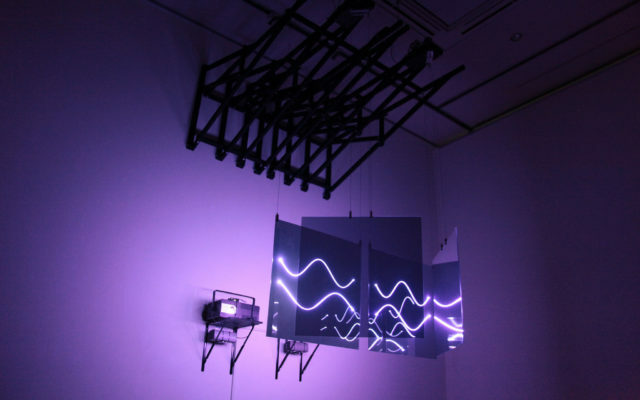 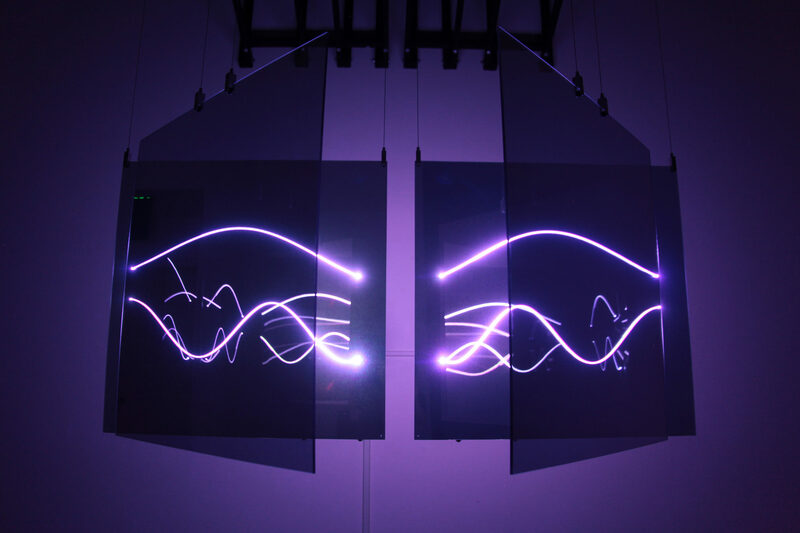 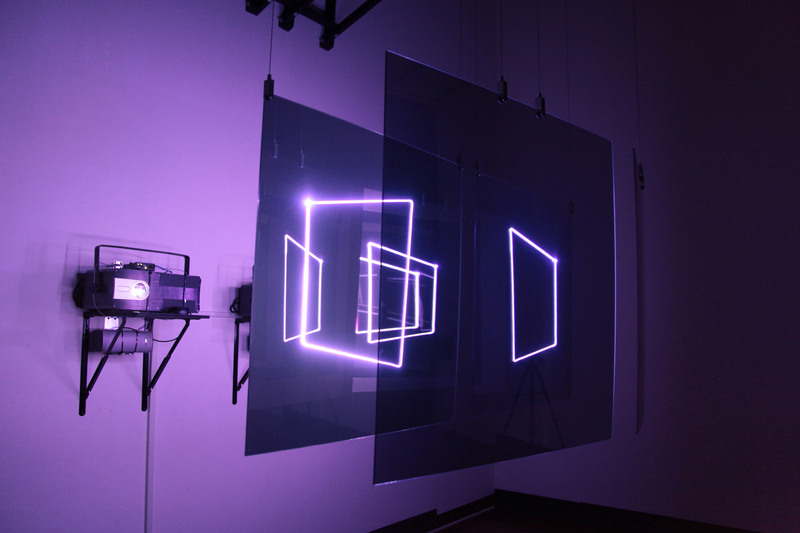 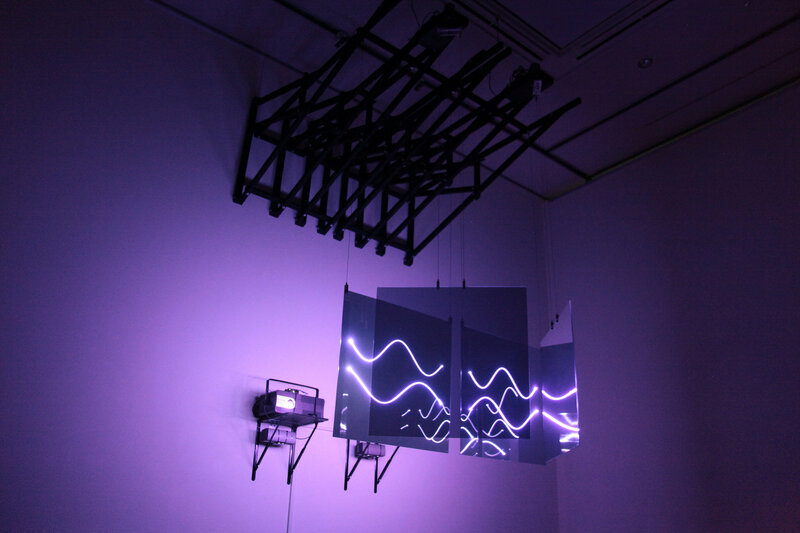 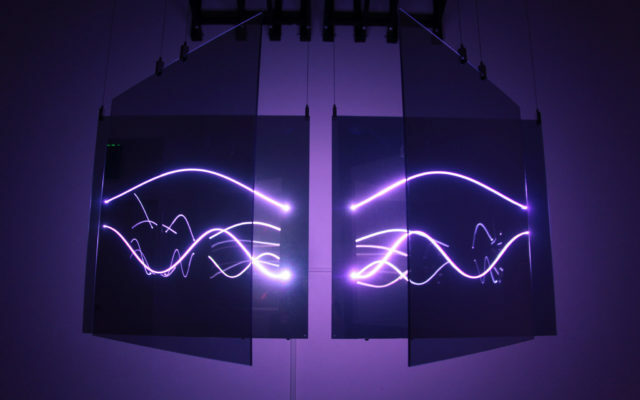 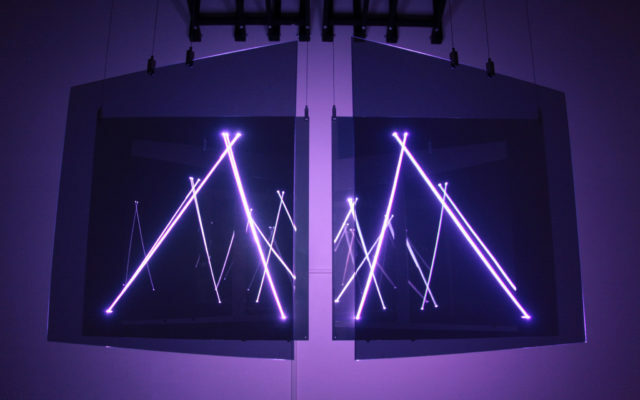 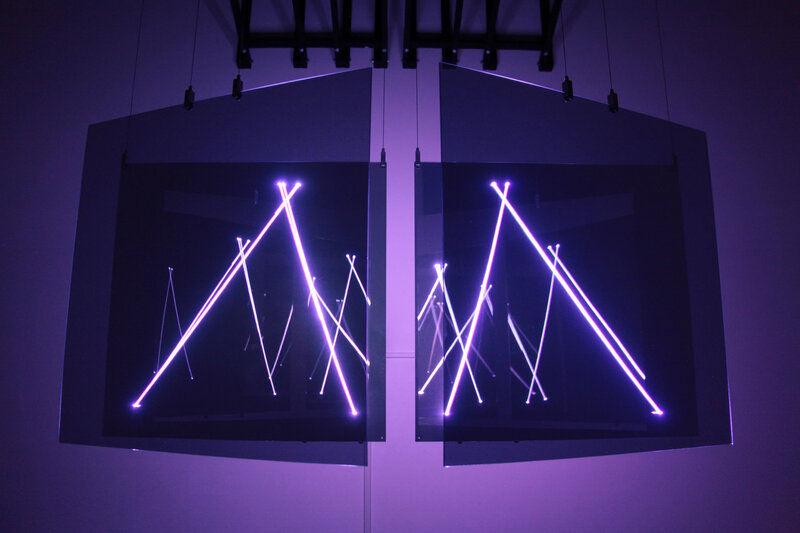 The installation for this piece consists of a laser, a mirror, and a motor. 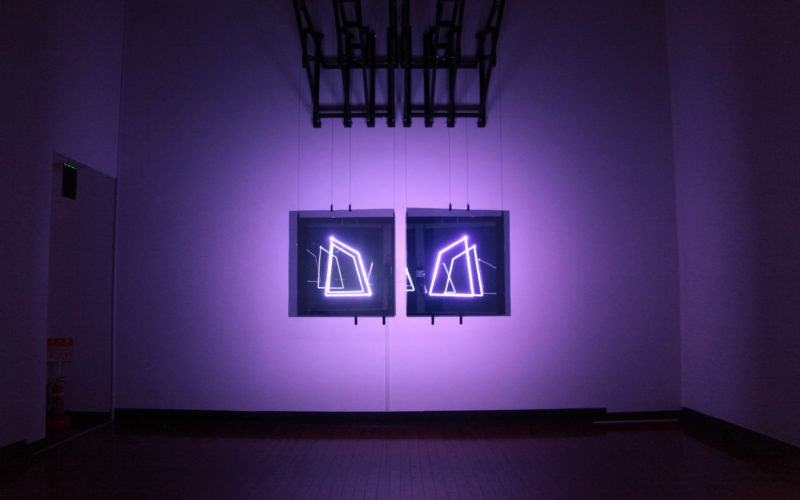 Two identical installations are set up in a vertically symmetrical fashion. 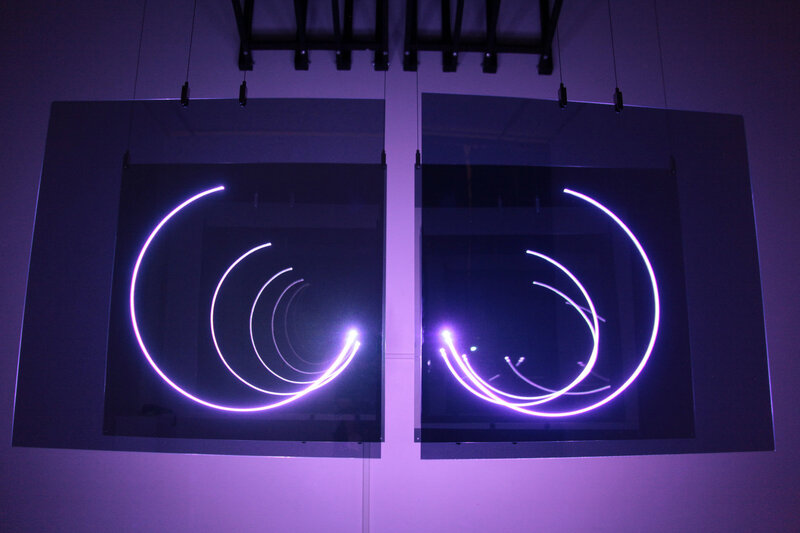 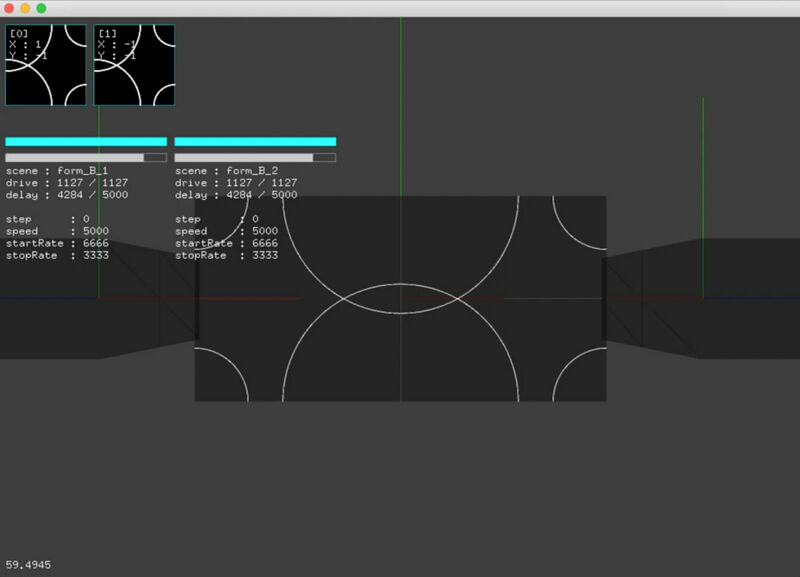 Each installation operates on the same time axis and behaves in the same manner. It consists of 1.5W RGB Lasers, stepper motors (oriental motor) that rotate the panels and on the software side openFrameworks, ofxIlda, and ofxEtherdream. The image emitted toward the fixed mirror highlights the tangled quality of substanceless space, where mirrors create a cycle of multiplication and disappearance, and its behavior changes according to the position of the viewer. 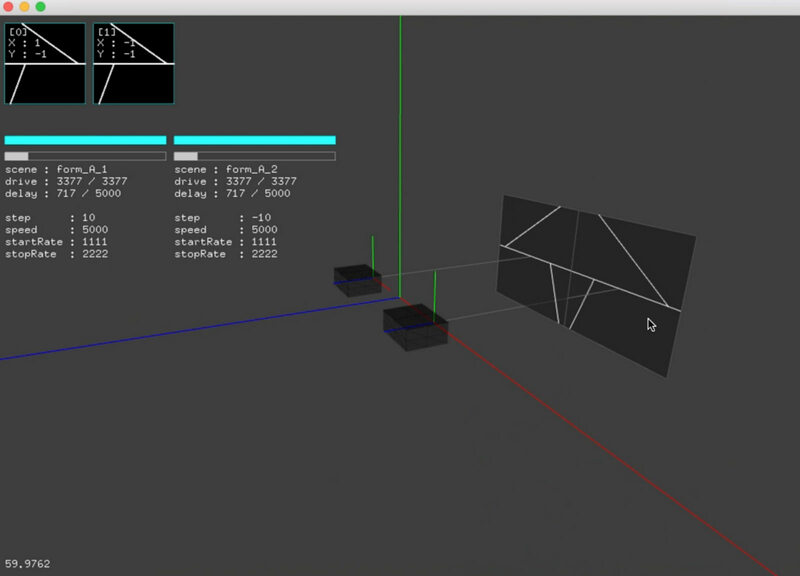 Set rules and variables are given in the creation of the emitted image, and the variables are reset when the image is switched. 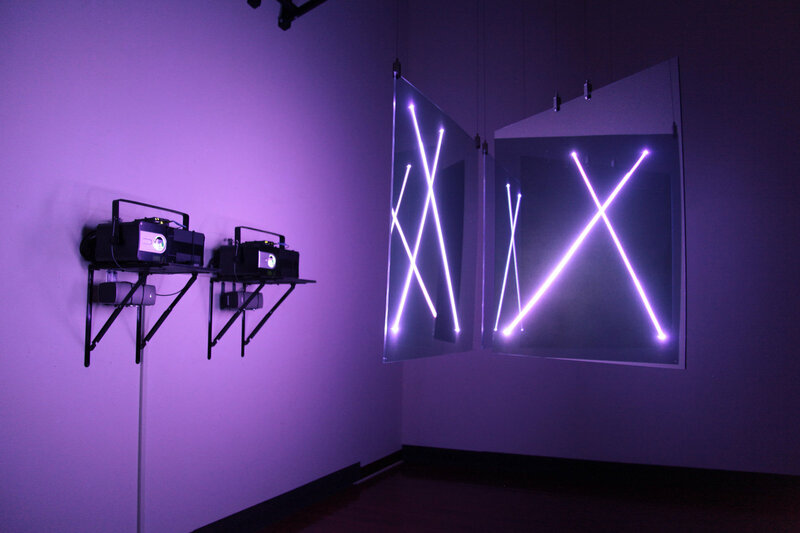 The piece incorporates the compression and dilation of time, as if the past and future were coming and going, crossing each other’s paths. 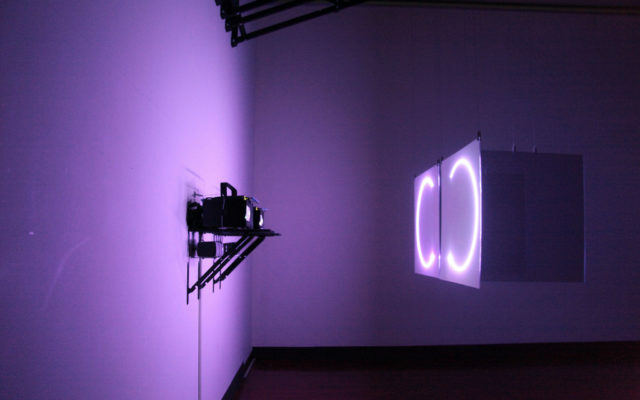 The installation was presented at the Contemporary Art Museum, Kumamoto with support provided by Ryusei Sakamoto.